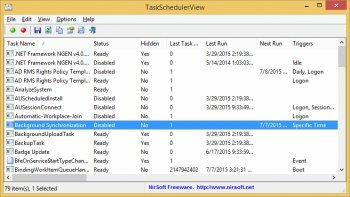 TaskSchedulerView is a simple tool that displays in a single table the list of all tasks from the Task Scheduler of Windows. It also allows you to easily disable/enable mutiple tasks at once. 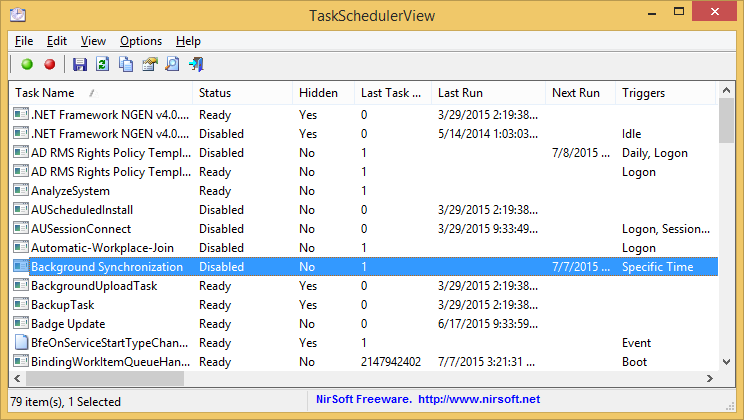 For every task, the following information is displayed: Task Name, Description, Status, Hidden (Yes/No), Last Run/Next Run Times, Task Folder, EXE filename or COM handler of the task, number of missed runs, and more.